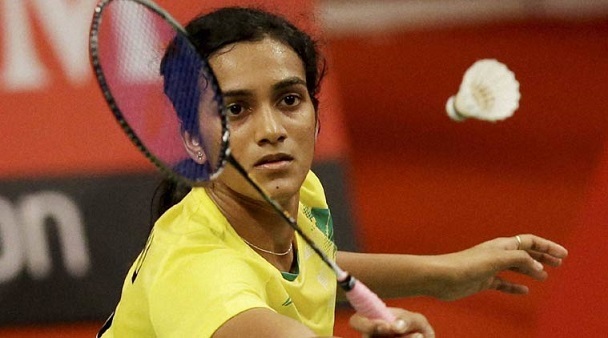 India’s PV Sindhu stunned 2012 London Olympics silver medallist Wang Yihan of China to march into the semifinal of women's singles badminton competition in Rio Olympics 2016. Sindhu won the an thrilling but tiring match in straight sets 22-20, 21-19 dominating her opponent in smashes and fitness. With the win, Sindhu became only the second Indian women’s player to reach the semi-final of Olympic Games after Saina Nehwal reached the same stage at the 2012 London Games. The tenth seeded Indian displayed a great combination of aggression and defence as Wang tried to gain the upper hand by net play. Sindhu was up to the task and returned most Wang’s drops and smashes. Sindhu showed some good judgement and accumulated points riding on her opponents unforced errors but Wang still entered the break with a 11-8 lead. Sindhu, who had beaten Wang in the Denmark Open last year, grabbed three straight points to make it 11-12 but left a shuttle at the baseline next. The Indian levelled at 13-13 when Wang hit the shuttle wide.